The first generation of Evolis Quantum card printers are now no longer for sale, it has been superseded by the Quantum2 card printer. 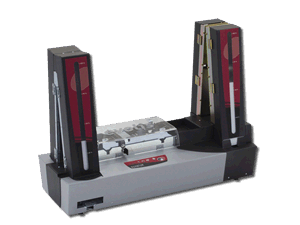 The Quantum, a dual-sided plastic card printer, is designed specifically for high-volume badge personalization. With a total printing capacity of 1000 cards in full colour, the Quantum is the ideal solution for markets that require volume and capacity: service bureau, access control, time attendance, healthcare, telecommunications. different types of card at the same time.